Product prices and availability are accurate as of 2019-04-20 04:02:28 UTC and are subject to change. Any price and availability information displayed on http://www.amazon.com/ at the time of purchase will apply to the purchase of this product. Looking for a good all around welder with some extra features? The PowerPRO 205Si from Everlast is designed to be just that unit. 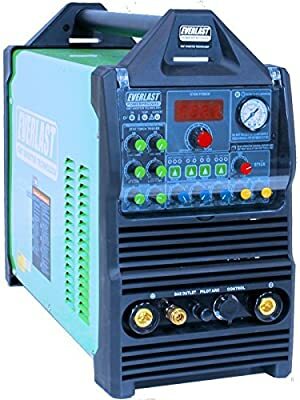 With 200 amp TIG, 160 amp Stick and 50 amp Plasma cutter capabilities, the digitally controlled IGBT Inverter welder/cutter is an all-in-one solution that is useful in many situations where space and portability are key concerns. The flexibility and versatility that the multi-process PowerPro 205S offers is hard to beat. Stable arc performance helps both hobbyists and professionals to make quality repairs in the field or in the fab shop. The TIG pulse capability further extends the unit's capabilites, as well as the fully adjustable AC Frequency and AC balance which improves aluminum welding capabilities. The PowerPRO 205Si multi-unit is definitely the utility player in Everlast's lineup and is ready to go to work anywhere it is needed.15ft. Everlast 26-Series air-cooled TIG torch with DINSE-style 35 series connector Stick electrode holder with 10 ft cable and DINSE-style 35 series connector 14ft. 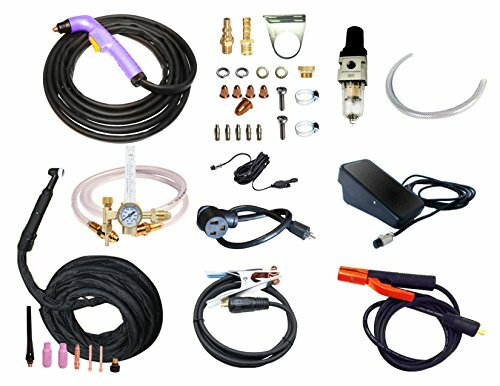 Everlast PT-60 Plasma torch with DINSE-style 35 series connector Work clamp with 10 ft. cable and DINSE-style 35 series connector Foot pedal Argon regulator for TIG Air Pressure regulator with water trap/filter (Note: This is not an air dryer. A separate, inline air dryer, supplied by the customer should be installed) Consumable starter kit for TIG and Plasma (Does not include TIG tungsten) TIG single pass capability Steel: 36 ga. - 3/8" Aluminum: 24 ga. - 1/4" Stick electrode diameter capability 1/16"-1/8" Plasma Cutting capability* (with dry air, new consumables, proper air pressure etc.) up to 1/2" daily use @ 15-20 ipm up to 5/8" clean cut @ 8-12 ipm up to 3/4" severance cut @ 3-5 ipm *Quality and capacity of cut depends upon consumable orifice size, standoff height, travel speed, etc.